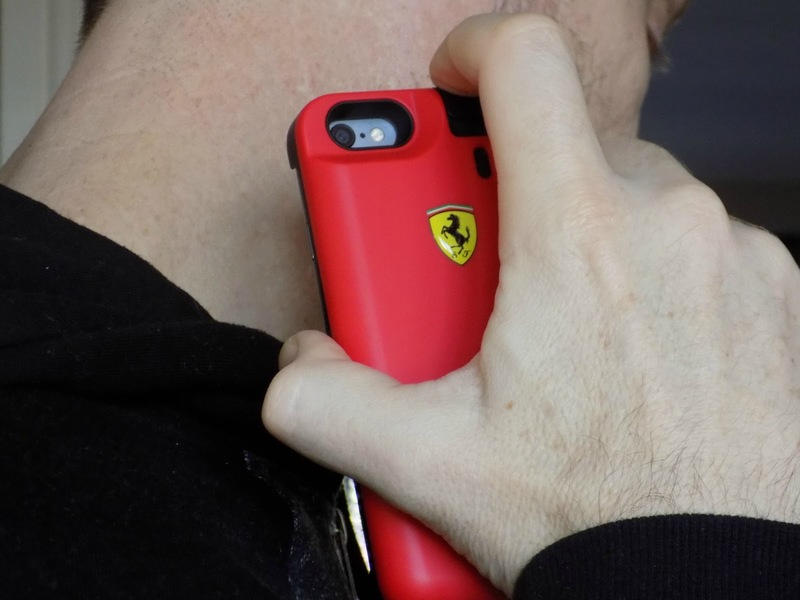 Now we are into February you may be thinking about Valentines and what to get for the man in your life, I dunno bout you but I always find it super difficult to find a suitable gift for a bloke, tbf you can't really go wrong with a fragrance, but what about a fragrance combined in a phone case? quirky right? 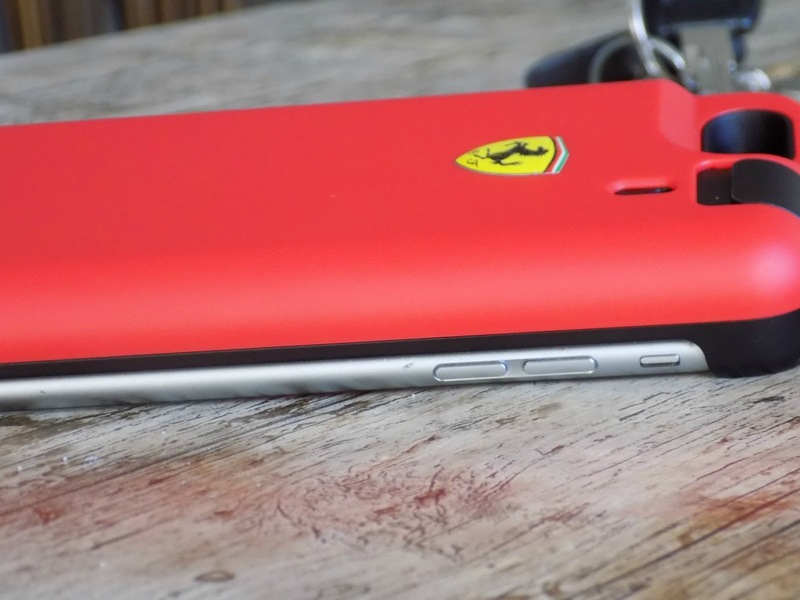 The Ferrari red I phone case* is a pretty nifty gift and I have not seen anything like it before, the case is a hard red cover with Ferrari logo on it, it has an enclosed compartment where the refillable Ferrari fragrance slots inside safely locked away. The patent-protected innovation is the latest accessory for Iphone, suitable for the 6 and 6s phones. The set comes complete with the case and 2 25ml of fragrance. 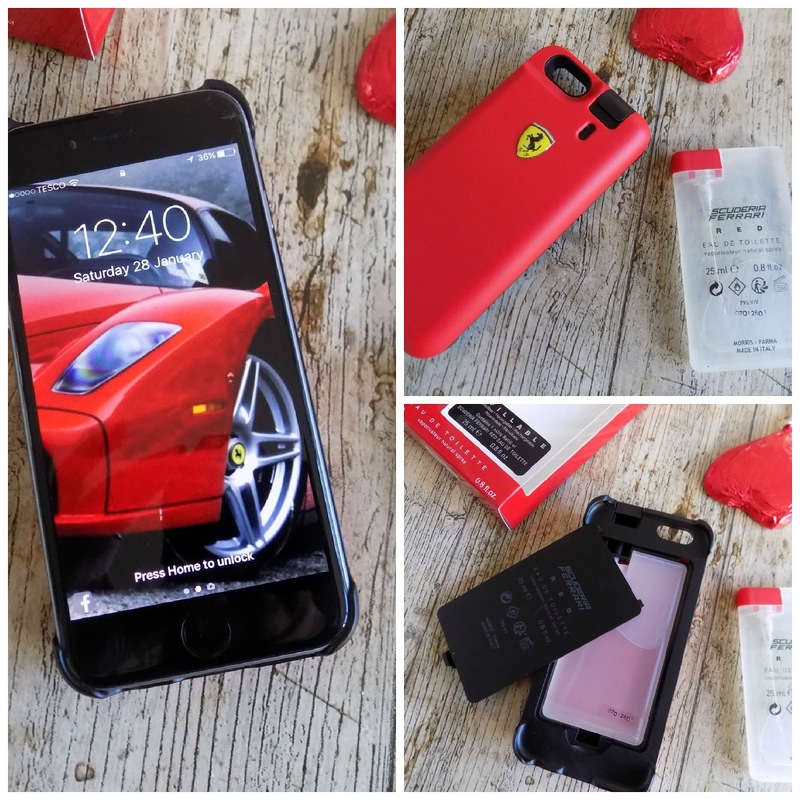 The Ferrari red Iphone case means your man can top up his fragrance every time he picks up his phone no more carrying a fragrance around with him and is available from Boots and The perfume shop online for £30. The fragrance itself, has top notes of orange and bergamot, and base notes of sandalwood and cedarwood making it a musky, woody scent, suitable for all ages I would say. My hubby likes it and now thinks he's famous as he features in this post, hahaha!! What will you be buying the man in your life for Valentines? 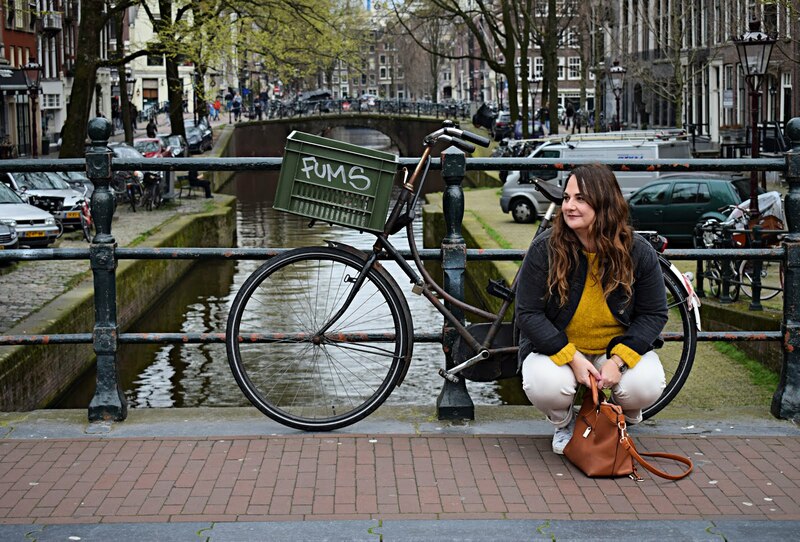 I would be greatfull if you could follow me on bloglovin. 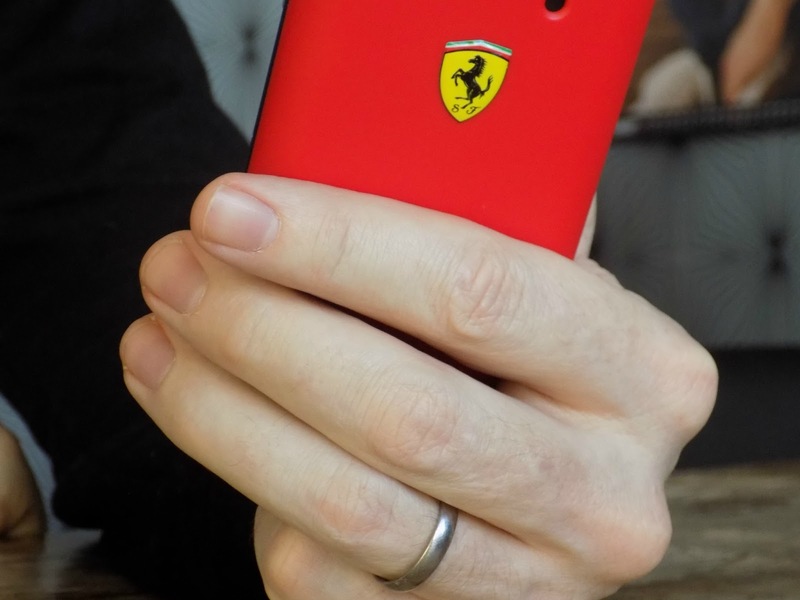 I wouldn't buy this for my Valentine, but my dad would love this case!